Ben Rothke, author of Computer Security: 20 Things Every Employee Should Know and a valuable contributor to the information security profession through sharing of research on Security Reading Room reviewed How Not To Be Hacked today. As in any moment when a person you respect reviews your work, I was struck with emotional anxiety and excitement when I saw the notification of the review. Ben’s review was honest, accurate, and I thought extremely helpful to anyone trying to uncover answers that will help their friends/family who do not hold 5+ certifications navigate the online world safely! 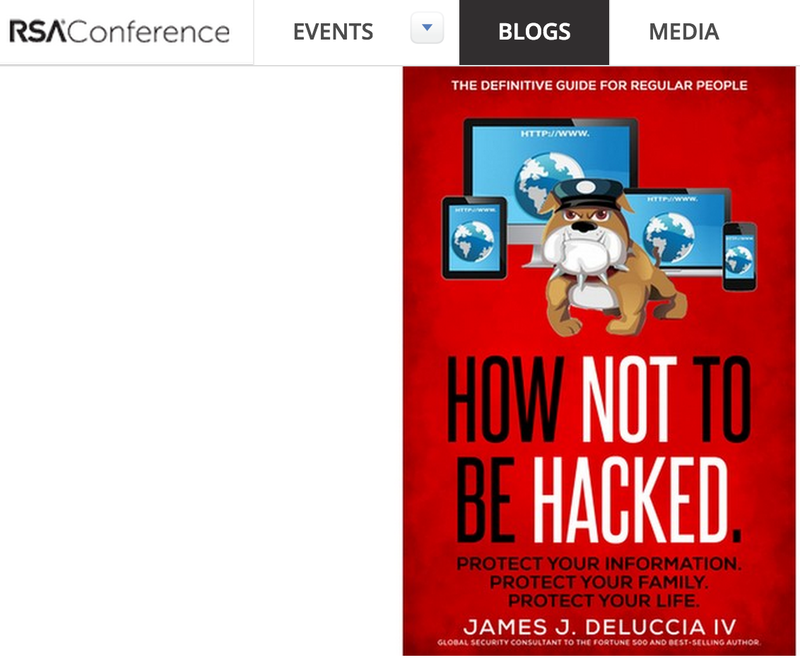 In How Not To Be Hacked: The Definitive Guide for Regular People , author James DeLuccia has written an extremely useful guide that offers 63 valuable tips on how and what users can do to avoid being hacked. When the author says the book is written for regular people, he means those folks who don’t know a device driver from a digital certificate. The book is written with no techno-babble or jargon, which makes it an enjoyable read for the novice. Posted again at How Not To Be Hacked: The Definitive Guide for Regular People | RSA Conference. Thank you to Ben for taking the time to share his thoughts on the book! RSA 2009 is finished; the vendors have packed up; the speakers have shuffled out of the lounge, and what remains is a compendium of excellent thoughts captured in real-time on blogs and Twitter alike. For Twitter search for #RSA or #RSAC and for blogs, well hit Google or simply start here. Business wise – the conference had lighter attendance (anecedotaly) and the vendors were on the edge of Cloud | Security | Recession-Antidotes. Session wise – they were better this year then last year – the Department of Justice presentations on Data Breach investigations and the Hoff on Cloudisms were quite good and worth the travels. The perception of business / security / governance / auditors is skewed towards PCI DSS (Somali pirates) and the business SLA and other regulations (Great Report Released last week) are being placed in a back seat. PCI part of the Program towards delivering operational integrity through IT infrastructure, systems, and computing processes. Intensely vet the AUDITOR and less the firm. The firm conducting the audit must have Fidelity, but selecting the A-Team is a predominant indicator of having a strong control environment. “Convince your QSA” – When going through the audit you shouldn’t be arm wrestling over controls, but these points of “negotiation” should be done through an existing, mature, and accurate Risk Assessment Program. Caution should be focused here to not materially affect your ethics or that of your company – convice should be a mutually agreed upon state, and not a “do this or we fire you” situation. Audits are supposed to validate compliance and / or provide a set of lenses highlighting how to enhance operations. Thank you to everyone who attended and for each that did not receive a book during the giveaway, you may find additional copies at Amazon.